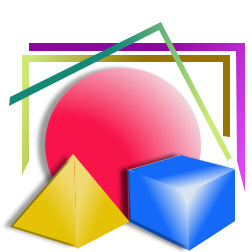 WELCOME to SyberMEL's Web Graphics, the ideal site for web graphic seekers. This site contains background graphics, arrows and buttons with 3D effects for home page designers to download for free. It also provides interesting links to other graphic related sites. Please feel free to download any free graphics categorised under the graphic products and use them in your home page if you like them. However, as a return, please add my link to your home page if you ever apply any graphics downloaded from here and your willingness to do so will be very much appreciated. New graphics are added all the time. Be sure to bookmark this site and check back often. I hope you'll find it useful. Copyright © 1998 Melvin Thong.